(AP) DETROIT - The number of U.S. car dealerships is rising again after hundreds of closures during the recession. It's another sign of strength for the car industry, which has been seeing steady sales increases over the last few years despite the wobbly recovery. It's also good news for the economy, since new car dealerships typically employ around 53 people, according to the National Auto Dealers Association. There were 17,767 U.S. dealerships at the end of 2011, or 108 more than at the end of 2010, according to a report released this week by Urban Science, a consulting firm. In a typical year, the number of dealerships falls by 2 percent because of retirements and downsizing, so a rise is fairly significant. The two largest contributors to the increase were Fiat, which added 135 dealerships, and Chrysler, which added 50. 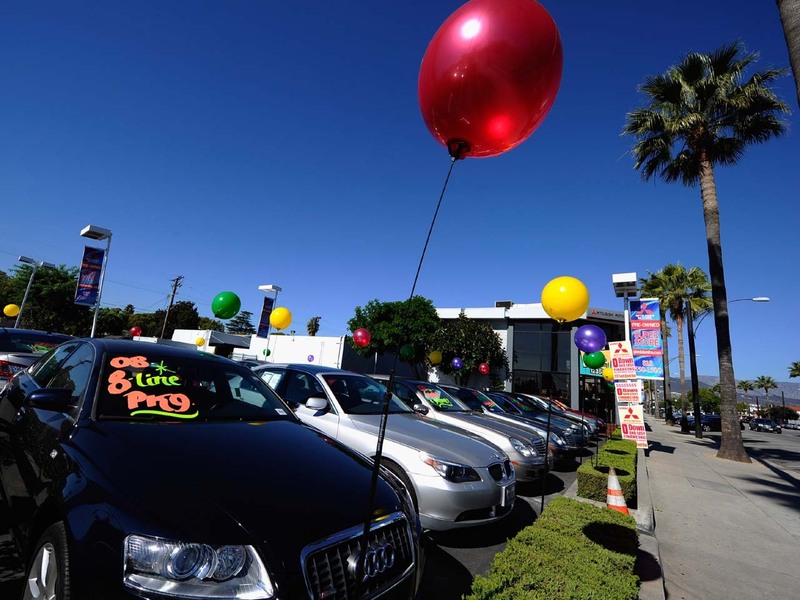 California saw the most dealership openings, with 31. New Jersey was next with 10. It's a reversal from the downturn, when General Motors Co. and Chrysler Group filed for bankruptcy and shuttered hundreds of dealerships as part of the process. Some Ford Motor Co. dealers were also forced to close when Ford stopped selling its Mercury brand. Urban Science said 1,603 dealers closed in 2009 and 822 closed in 2010. "We have a stabilized, right-sized dealership network that has increased year-over-year for only the second time since we started this census," said John Frith, the vice president, of Urban Science, in a statement. "Automakers and dealers are in a good, profitable position." The dealerships that held on and stayed open during the recession are more profitable. U.S. dealers are on track to have a record number of sales per dealership this year, Urban Science said. Sales per dealership increased 10 percent to 719 in 2011, which is approaching the current record of 784 in 2005. Frith said the challenge for dealers now will be to keep profits up despite the need for more staff, space and upgrades to handle increased sales.